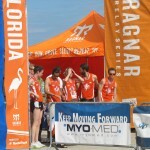 What a spectacular experience I had at the finish line of the MyoMed Ragnar Relay Florida in Daytona Beach on Saturday! It was my first time to sit at the finish line of a Ragnar event and, while I knew no one running the race, each runner that crossed the finish line made me stand up and cheer. 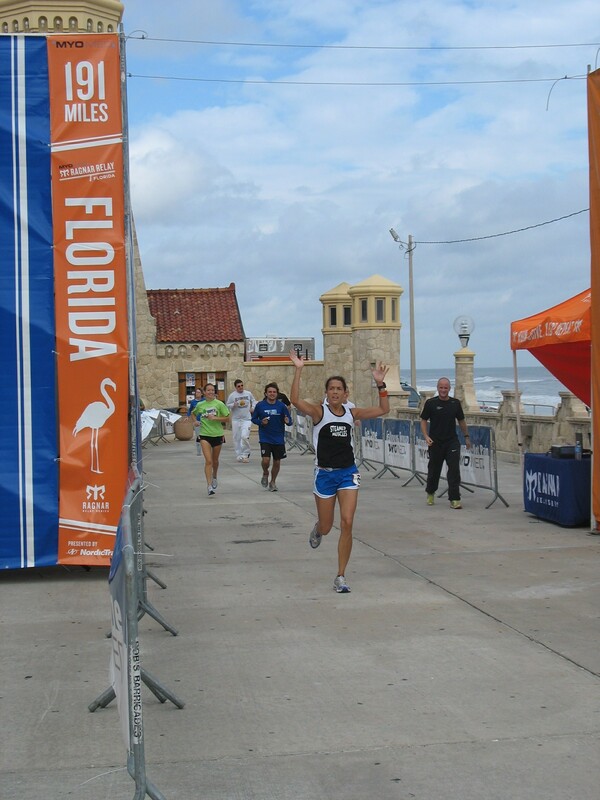 I cheered for their efforts, their accomplishment and because not many people can say they have run across the state of Florida! Congratulations to all of the teams and a “well done” to those teams who finished top overall and in their divisions. Team Road Thrill came in at 22:12:47, first overall - their bright orange jerseys were certainly hard to miss. 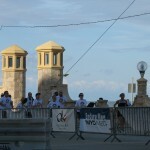 Ragnar has posted all results online here. Most importantly, while in Clearwater at the starting line and Daytona Beach at the finish line, we were able to collect donations for the Big Brothers Big Sisters of Florida. Florida was a great inaugural race, and we’re excited to see this race grow into something spectacular. Unfortunately, Tom Bassano, the runner who was going to make the 191-mile trek solo, ran into some injuries just past the halfway point and wasn’t able to finish the race. Next year, Tom plans to take up the race again to help us help Ragnar help kids in Florida. Each year, as the races grow larger and people become more familiar with the charitable component of Ragnar, the donations and the race’s impact on the communities’ children becomes even more significant, so we are excited already for 2009! How do Operation Kids and Ragnar work together? Operation Kids is Ragnar’s official national charitable partner – we help Ragnar find deserving, effective charities and projects focusing on youth health and fitness in the cities/states through which the Ragnar Relays run. Our belief is that it is critically important to know where your donations are going and for what they will be used. We help Ragnar ensure that their donations and the donations of their runners are put to good use and make a solid, measurable impact on local youth health and fitness. 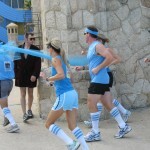 100% of the charitable proceeds from the race – raised by runners, volunteers and others – goes to the race’s designated charity (in this case, Big Brothers Big Sisters of Florida). All of the money stays locally to benefit youth health and fitness programs. Teams have the option of raising money for the charity, giving individual donations and/or “buying” their volunteers. Teams have the option of paying to have us arrange their volunteers for them. Approximately half the fee is used to have a staffing agency fill the volunteer position. The rest is a donation toward the locally benefitted charity. If the charity fills the spot, they receive 100% of the volunteer placement fee as a charitable donation. Did you run the race? 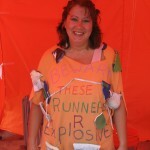 Have you ever run a Ragnar relay? If so, leave a comment and let us know! Overall, it was a wonderful event. We are excited to help Ragnar find deserving charities nationwide, as well as excited to see the passion of the runners, volunteers and support staff that make these events so worthwhile! Even the volunteers got into the spirit of things! Want to see more photos? Check out our Flickr photostream here. This entry was posted on Monday, November 17th, 2008 at 2:06 pm	and is filed under Events. You can follow any responses to this entry through the RSS 2.0 feed. You can leave a response, or trackback from your own site.